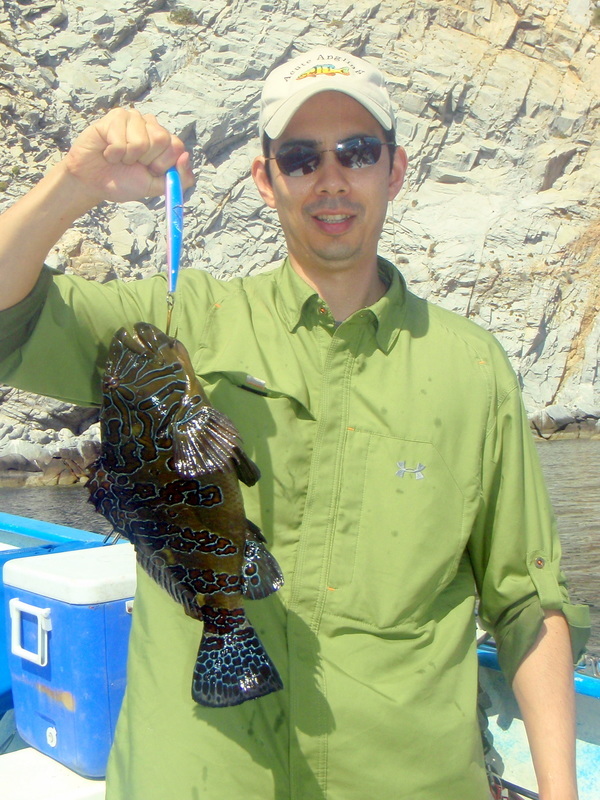 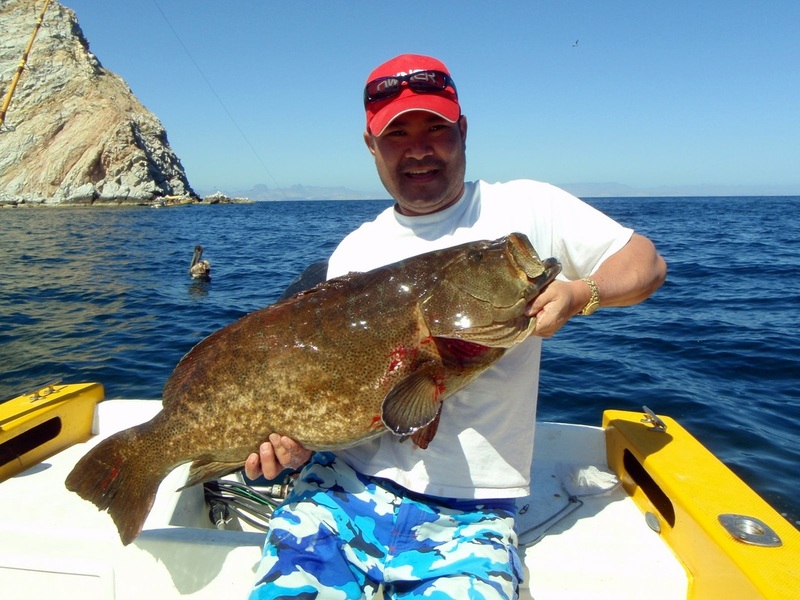 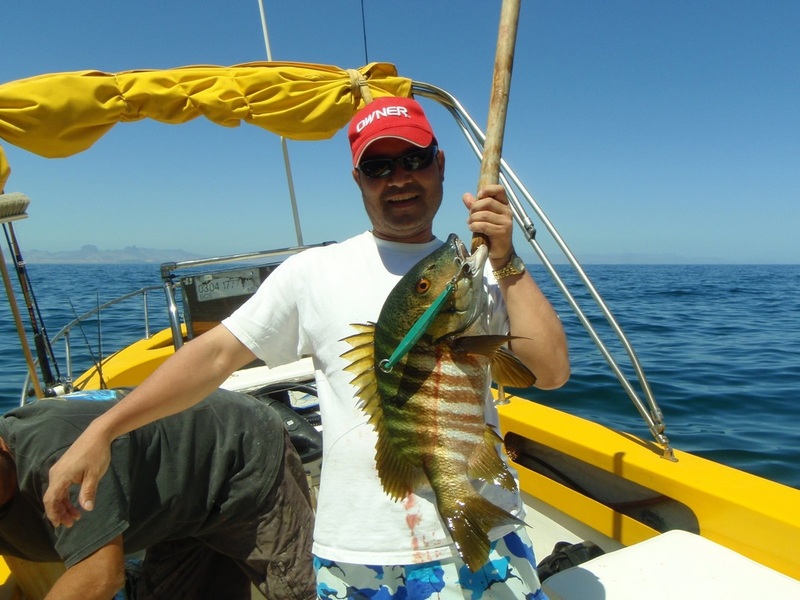 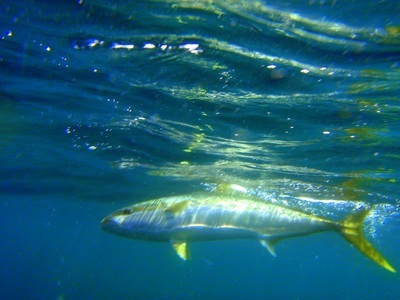 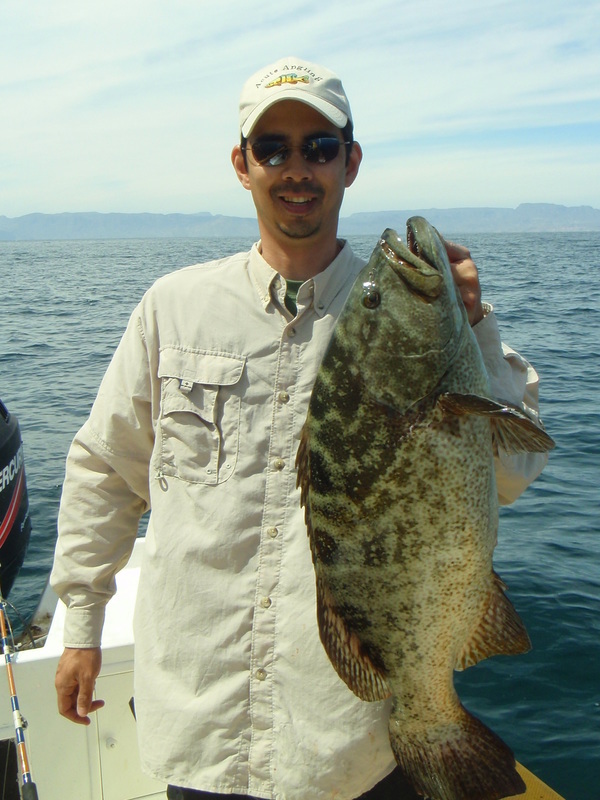 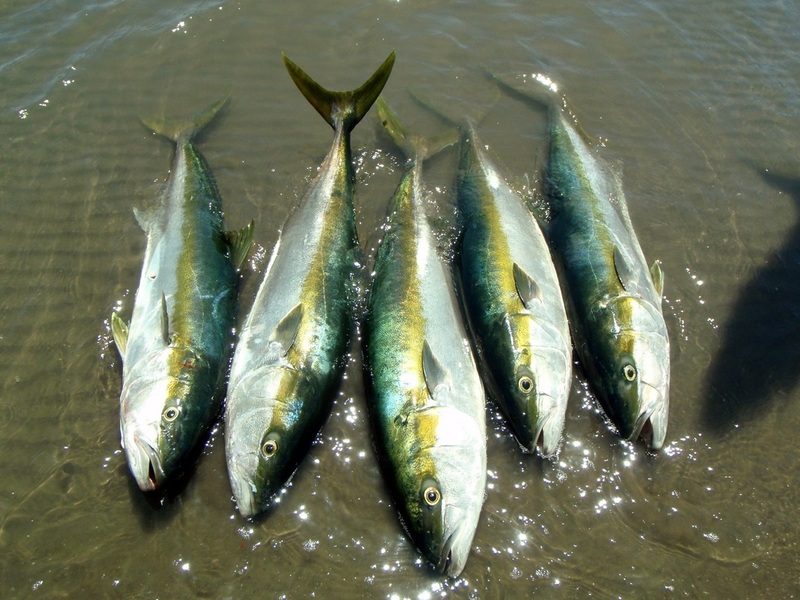 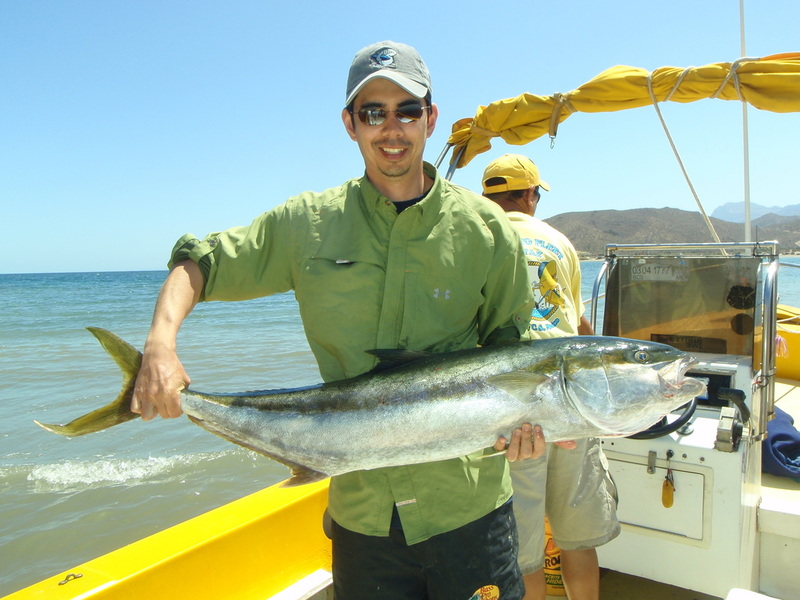 ​6 day fishing trip to San Evaristo north of La Paz. 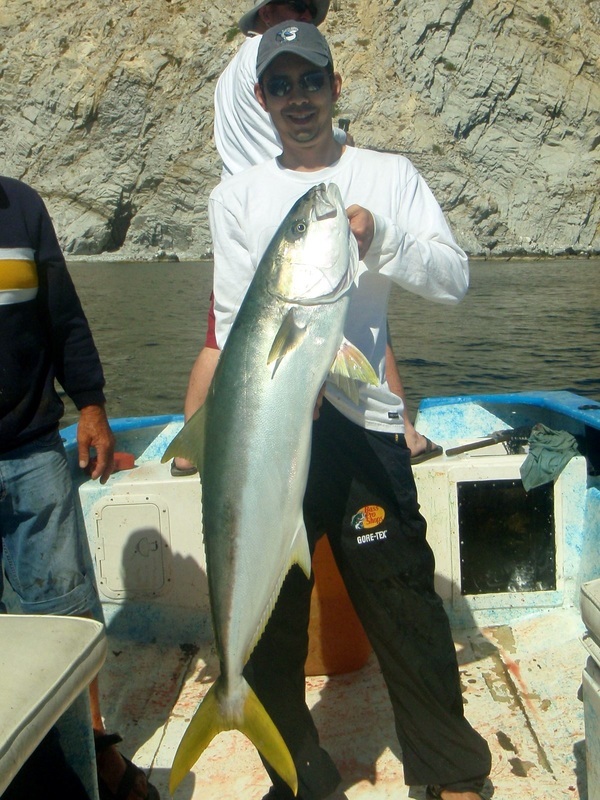 The trip was organized Performance Tackle in Los Alamitos, California through Blue Water Tours and the camp was run by the Mosquito Fleet guys. All in all it was a great trip. 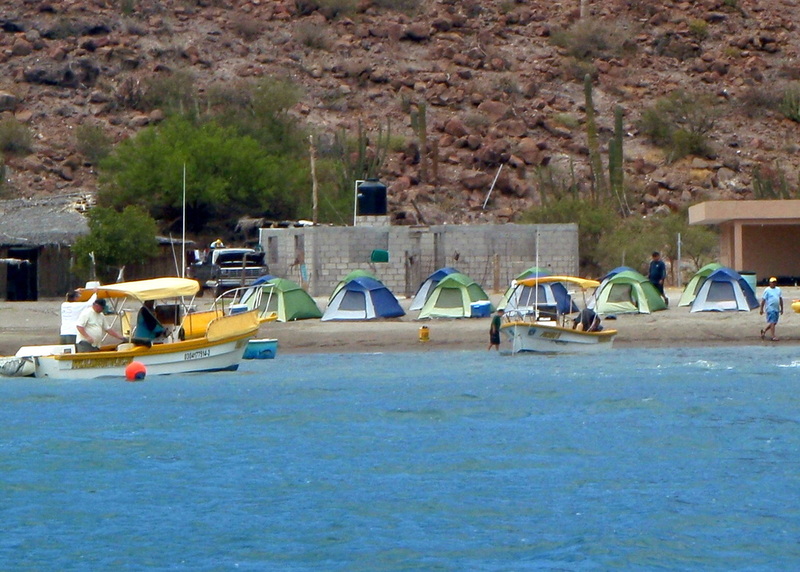 We slept in tents on the beach, fished from around 6:30-1pm, came back for lunch and siesta, and then fished a shorter afternoon session. 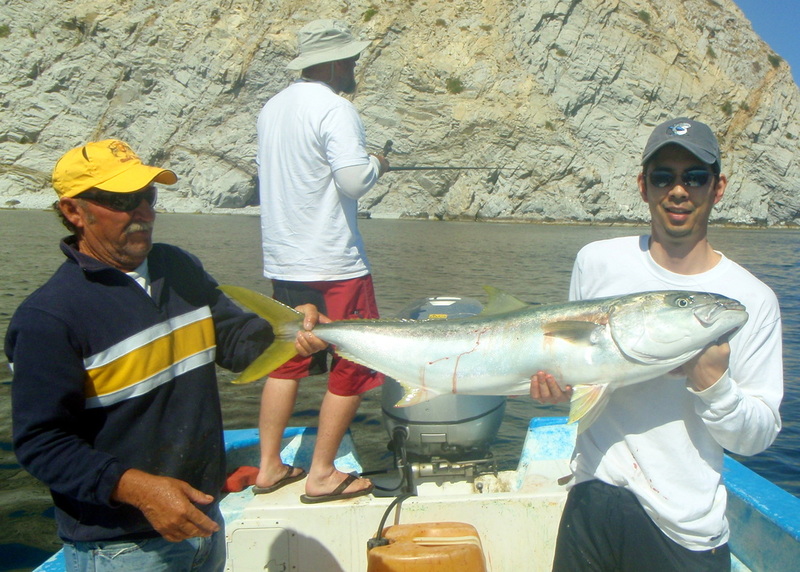 Fishing was never really wide open, but if you put in your time there were some quality fish to be had. 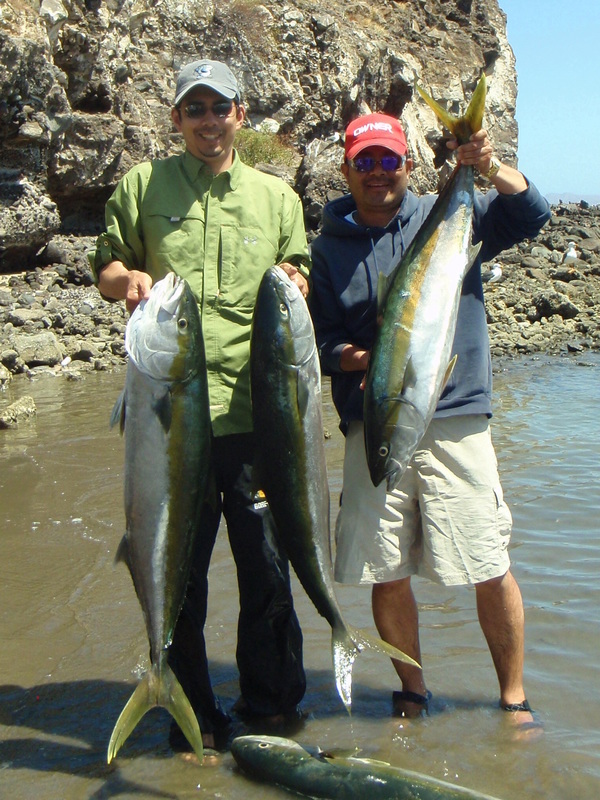 We picked away at the yellows (all over 20lbs, biggest 37lbs on a bass rod by Marc Higashi of Performance Tackle) and also caught a lot of cabrilla and pargo. Biggest cabrilla was 26.5lbs caught by Marc's cousin Eddie. 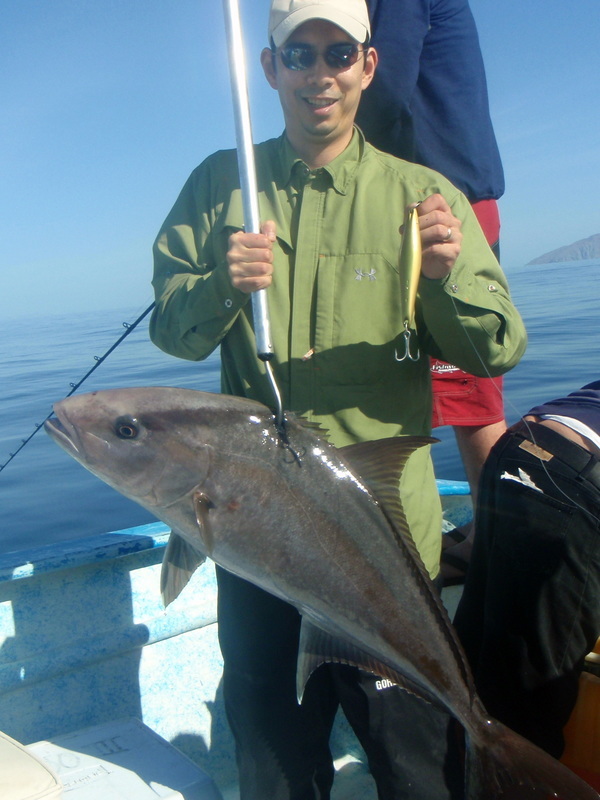 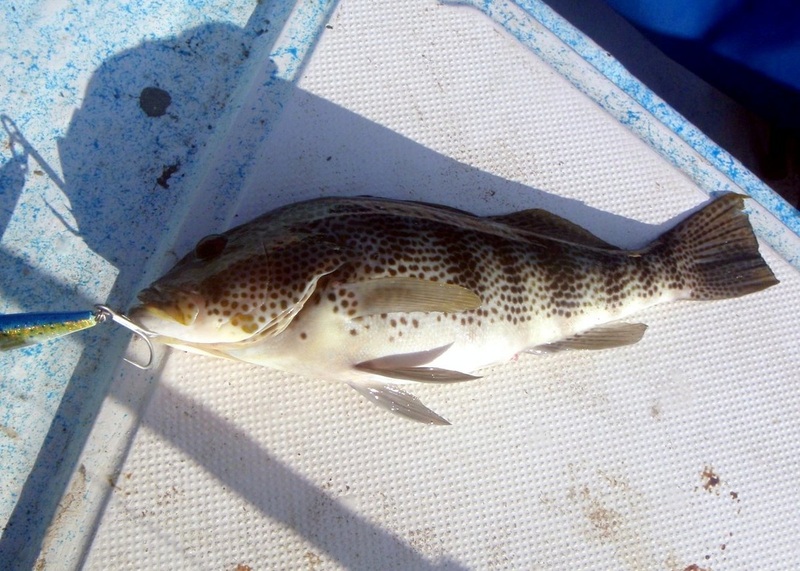 Overall we tallied more than 30 species for the group including amberjack, yellowtail, leopard grouper, yellow pargo, barred pargo, and roosterfish. 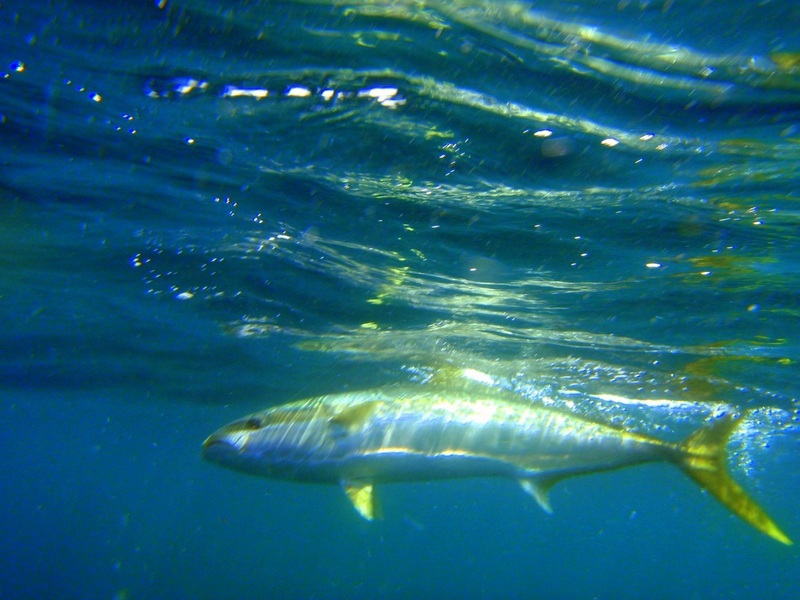 The smaller cabrilla were pretty wide open off the rocks in the late afternoon on pretty much whatever you threw at them. 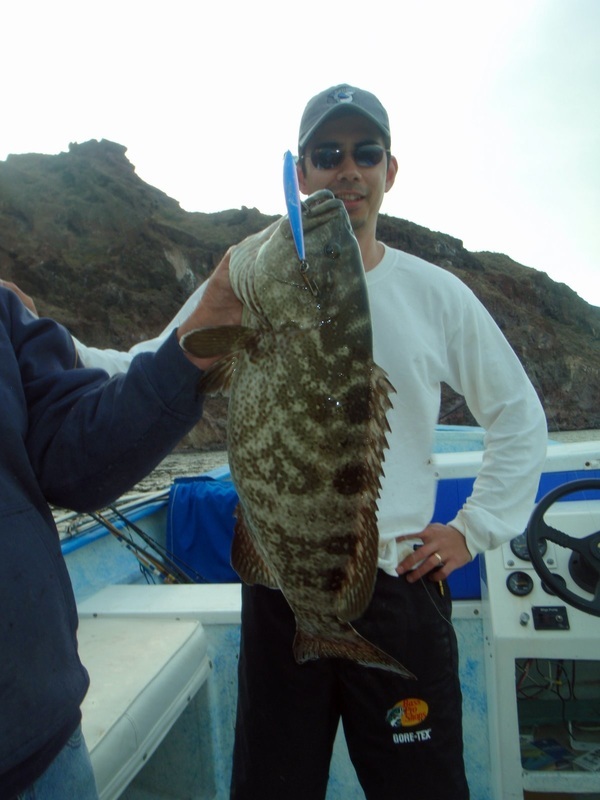 The larger cabrilla and pargo were extremely hard to land and very few big ones actually made it to the boat. 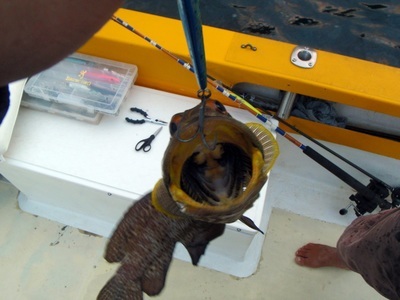 One of the large pargo pulled the camp manager out of the boat on the last day (I don't think he was expecting my drag to be that locked down when he grabbed the rod). 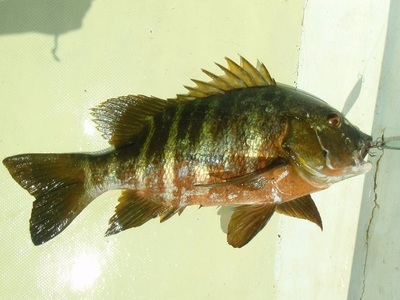 Overall bait worked better than lures, especially on the yellows. The weather was pretty much perfect except for one day when we had a lot of wind. 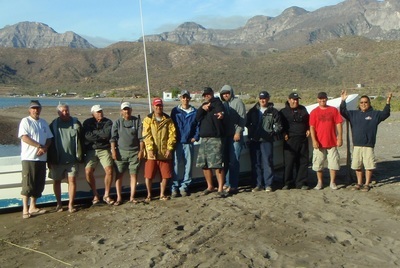 Overall a great trip with a great group of guys.